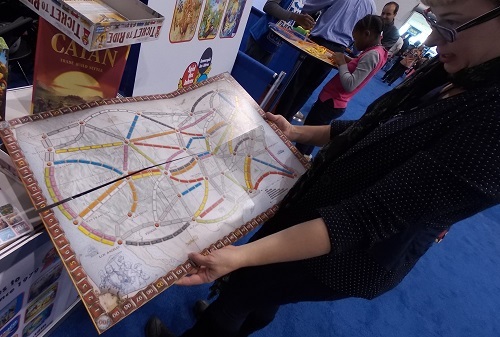 After going to the Toy Fair this year, I kept hearing those buzzwords (Girl Engineers, STEM, STEAM, creativity, coding, hands-on learning, etc). I can't help but think that parents are sick and tired of this. It's losing its meaning. I'm sure of it. When Toys Are Tools first began, we focused on so many of these points and I was and still am grateful for the interest. Not a vegetable: I promise to never do the same when I talk toys with you. Now, everyone is focused on these buzzwords but I want to make sure that you still get the information you need to make great decisions. 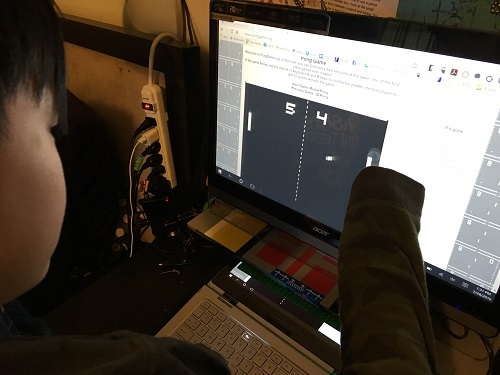 Now that it seems like everything is a STEM toy or smart toy or involves coding, you would think that my job was done but this only means that there is more work to be done. More testing to be done. More explanations to be written. More videos to be made so that you know exactly what is right for you. It's not enough to be just good for you, it has to be good for you and offered to you at the right time. As more and more toys become available, there will be varying access points to all that great learning out there. You want this because you want the kids to hit the ground running when they open that box. It won't mean that you don't have to be involved. No, we still want you to play with them. But, it will mean that learning all this new stuff won't be so hard. Playtime is supposed to be fun. I want to help you do this but this current format can't handle that level of work so we have been working on changing this. This is the Acer 21.5 Touchscreen (for $200) that I bought because someone I know cracked my laptop screen and I couldn't get it fixed. It's kind of a happy accident. Hopefully, we will be coding to create touchscreen games to play on this very big screen! Okay, so why the name change?? For those of you who have been with me for a while, sit down because you might get a little angry. 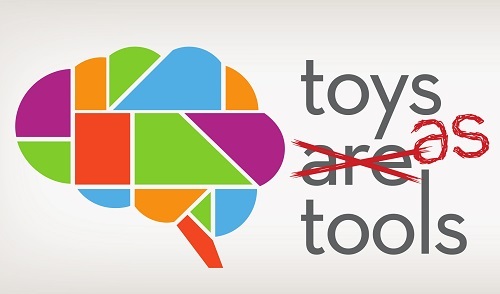 A certain company that many of us know wrote to me saying that I need to stop using "Toys Are Tools" as the name of my website, trademark, and social media accounts. Their reasons included infringement, confusion, possible damage, etc. Like I tell my kids when they encounter an unfriendly at school, "Sometimes, you have to lose to win." While I love the name Toys Are Tools, what I love even more is being less stressed, being productive, and being able to devote all of my working hours to building a great site for you. Oh, and I am using the .cc domain because it's shorter, cuter, and cooler and lots of folks in the maker community use it too. That includes me and most likely includes you. If not, just give me a little more time. I will work harder. You think I'm tough, wait 'til you meet Rachel. Yes, I am bringing in the big guns. Rachel's background includes being the equivalent of venture capitalist for the arts community. Her family has been testing for this blog for a long time and she is the resident expert on toys for girls. She is the perfect person to work with me to make this transformation work. All those fancy things that you want this website to be, Rachel will stretch my dollars to make something useful to you. She's got skills! Thus, we will be changing the format of this blog. I won't go into specifics about what this will look like mostly because I would like to hear from you. Tell me what frustrates you today when it's time to start shopping for a toy. Tell me about your great toy investments. Tell me where you do your most productive hunting. Tell me your thoughts on how I can help you connect to your people. What information is difficult for you to convey to your customers? What's keeping them from choosing your good stuff? We'll be creating a survey but your initial thoughts will help us figure out what to ask! So please, for the love of good toys, send me an email, write a comment. Like Thomas, we want to be really useful engines. p.s. Many thanks to Michele Slobin of Gryphon Design Strategy for connecting me with such a wonderful logo designer!